“Who is this for?” – a question one must ask – and answer – when assessing any piece of hifi equipment. 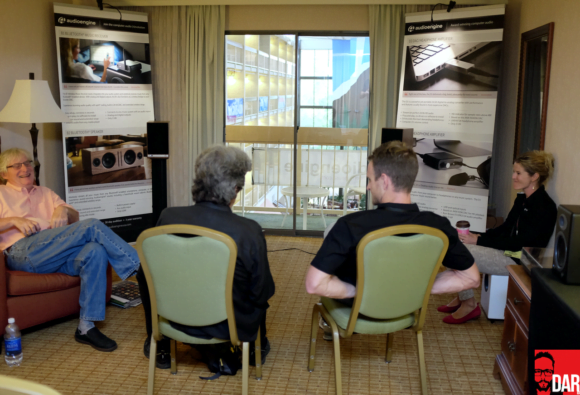 To criticise a US$60 passive loudspeaker for its frequency range peak / dip – as one attendee at RMAF’s Affordable Audio seminar did last weekend – is to play the role of idealist. That’s fine but it also misses the broader point: a $60 loudspeaker isn’t for a dyed-in-the-wool audiophile where sound quality compromise is unavoidable at such a hellishly low pricepoint. 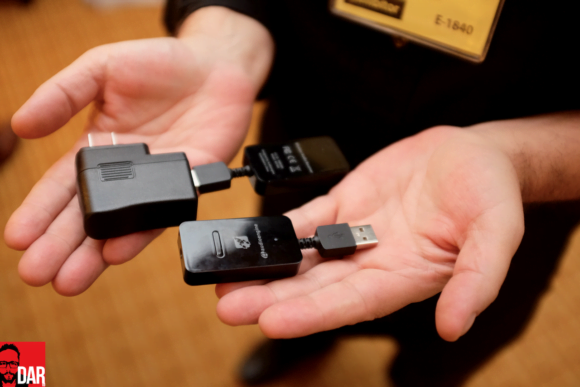 And it’s not the Bluetooth protocol itself that often puts fellow reviewer and Denver Marriott panelist Steve Guttenberg in a spin about their withering SQ, but rather the monobox’s lack of channel separation. At the high/er end, Bluetooth gets found out. At the entry-level it keeps the Kabelsalat out of the picture. 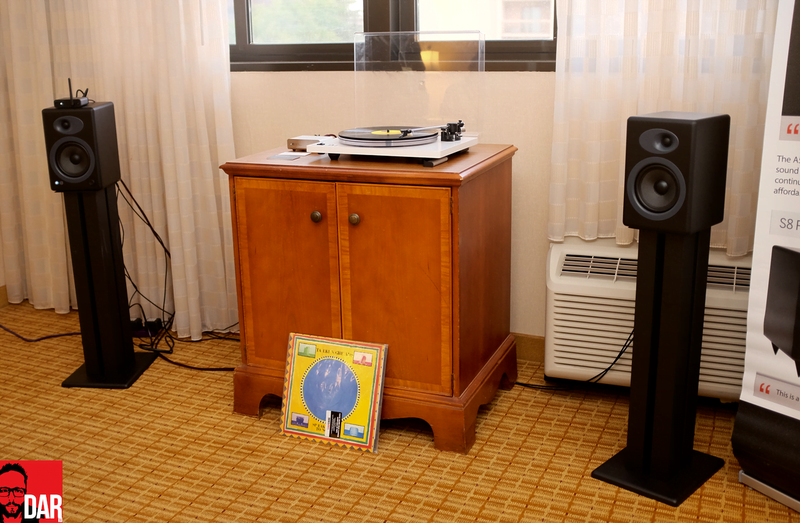 And for the audiophile newcomer, keeping things wireless is an important pragmatic consideration. 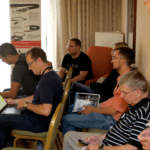 One company that knows this all too well – and who were also represented on RMAF’s Affordable Audio seminar panel by David Solomon – is Audioengine. (Having parted ways with Tidal as part of their post re-launch shake-up, Solomon is Audioengine’s new VP of Global Sales and Marketing). I frequently host a pair of their A5+ powered monitors (Bamboo finish, US$469) on my work desk in Sydney because they look a darn sight more stylish than the admittedly superior-sounding and considerably more expensive Adam Audio A7x but also because their volume pot sits on the front the panel within easy reach. 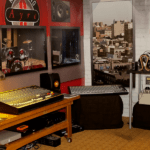 Little wonder then that Audioengine’s range is the number one non-pro audio brand returned by Google when searching for active or powered monitors. Audioengine design loudspeakers for those who can’t afford the best at any price (idealists) but for those who want their audio gear to be simple to setup/use, to look stylish and to sound pretty darn excellent. Tick, tick and tick. 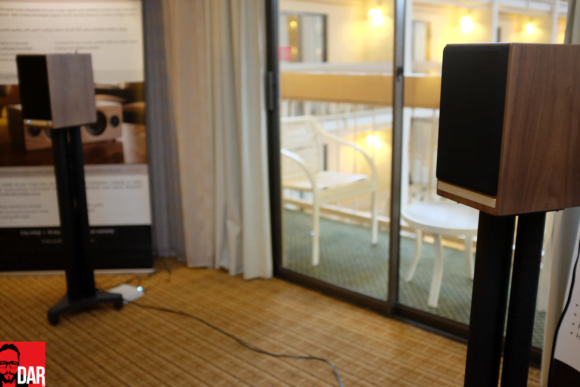 Up in room #438, David Solomon could be found demonstrating Audioengine’s W3 twin ADC and DAC adaptors (US$149) that wirelessly streamed the output of a U-Turn Orbit turntable + Pluto phono stage to Audioengine’s first new product in a good while: the HD6 active monitors. Purists might wince at the digital encoding and later decoding required by the W3 but to pragmatists playing at the entry-level it matters not one bit; this wifi connection utilises Audioengine’s own wireless streaming protocol and devolves not into a lossy codec. 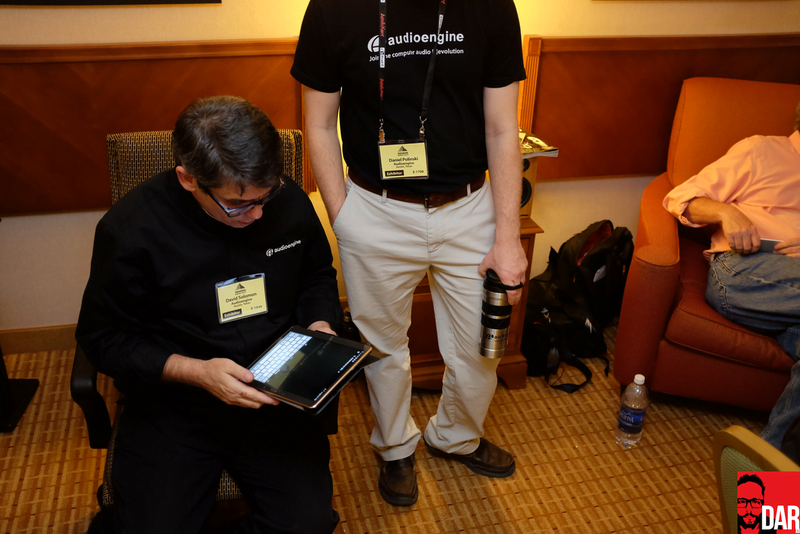 David Solomon demonstrates the potency of Audioengine’s wireless audio transmission at RMAF 2015. The HD6 meanwhile point to the future with inbuilt 24-bit DAC, toslink and aptx Bluetooth input (and I suspect Wifi too – TBC). And yet they also maintain one foot in the past with Class A/B (not D) amplifier modules, twin analogue inputs for the direct connection of phono stages and external DACs as well as a retro-styled wood veneer finish that wouldn’t look out of place in any respectable hipster’s home. The HD6 leave Audioengine’s Wilmington, NC warehouse for US$749/pair. 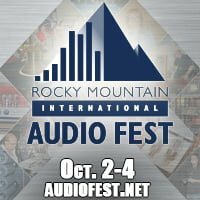 Hard to know whether it was coincidence or a shot-in-the-arm from David Solomon but this year’s RMAF attendee didn’t need to visit Audioengine’s room in order to sample their wares. 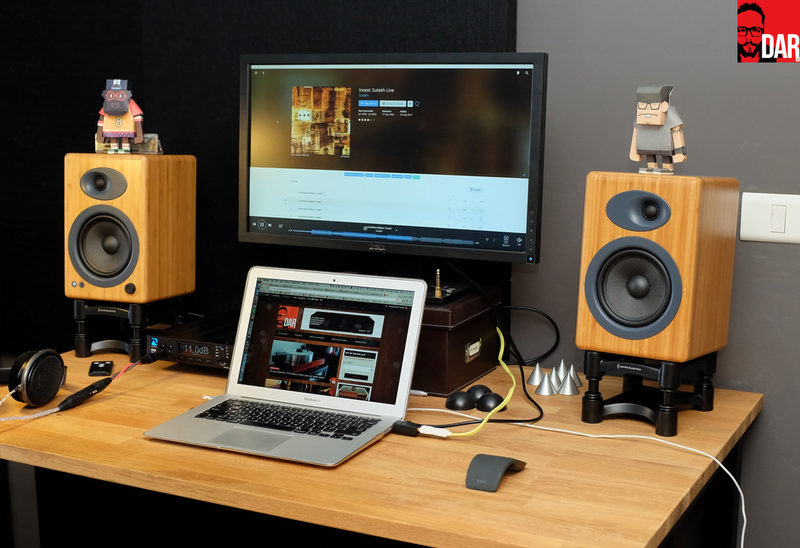 The A5+ monitors, this time in a satin black finish (US$399/pair) served as workhorses in the $1000 Affordable Audio room, which had been co-opted by the U-Turn turntable guys (as reported here). 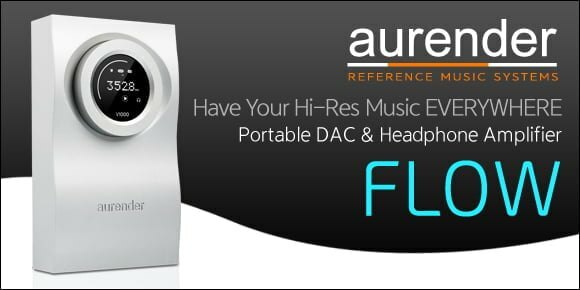 Also boarding the Audioengine collaboration train are AURALiC. As far back as T.H.E. 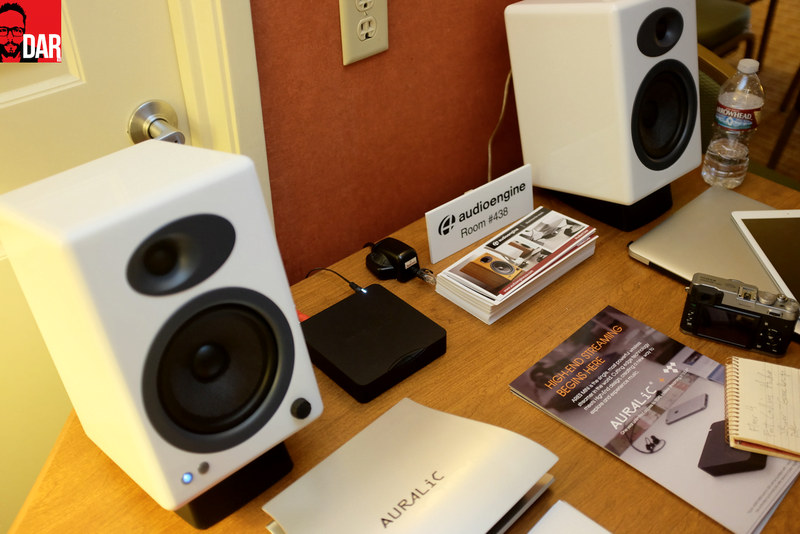 Show Newport Beach, AURALiC CEO Xuanqian Wang had pegged Audioengine’s black or white actives as a hand-in-glove fit for bundling with his similarly black or white Aries Mini. Five months later and that concept inches closer to reality with the Aries Mini riding side-saddle to a pair of Audioengine’s A5+ in the AURALiC room (reported on here). Back at Friday’s Affordable Audio discussion panel, an LS3/5a owner asked for modern day indications of progress with loudspeaker design. I’m wholly unqualified to get specific with developments from an engineering standpoint but what should be obvious, even to old timers, is the ever-decreasing cost of entry-level sound systems and their propensity to lean on active drive. Audioengine appear to be leading the charge with affordable actives in the consumer space. Think of your co-worker seeking a step up from a Bluetooth speaker and a return to proper stereophony. Or think of a college graduate looking for a solid sounding, clutter-free rig for his first apartment. Or think of your neighbour who has been over to yours for drinks enough times to take an interest in better sound. THAT’s who Audioengine products are for. 1. Those new Audioengines have the Danish 70s design down pat. They are both retro and forward looking! I am eager to hear a pair. 2. I suppose that’s one way to tame cabinet resonances in a sub. Nice reporting, John. Thank you! Thanks for covering Audioengine! I have a pair of A5’s and A2’s. Any impressions on the HD6’s sound? Nope, no impressions – there was too much in-room chatter going on when I stopped by.